Gionee P7 Specification Features with 2GB RAM Price in Nigeria and India. 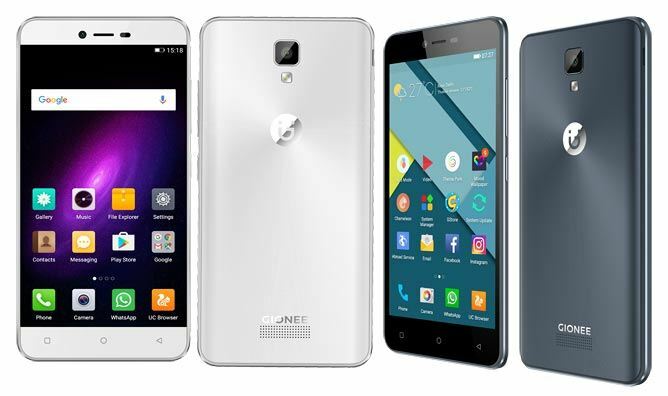 Gionee P7 is another new model, this time with 2GB of RAM that just got into the India market in the P-Series Gionee smart phone family. Gionee P7 cost around Rs 9998 in India market and thats about 39,000 to 40,ooo Naira in Nigeria. The smart phone comes in Latte Gold, Grey and White coloured variants with all round metallic edges. Power and Volume keys both crafted to reside at the right side and all for a good grip. Gionee P7 is powered by MediaTek chipset with processor speed clock of 1.3GHz and 2GB of RAM. The inbuilt storage is 16GB and with option to outsource for more memory space via micro SDCard of up to 128GB. The smart phone is 5 inch in size and sports HD IPS display with Soda Lime Glass of 720*1280 pixels resolution. Gionee P7 runs customized type of Android 6.0 Marshmallow Operating System, called Amigo 3.2. The battery capacity is 23000mAh as expected, since, the device fall in the mid range pricing. But interestingly, it boast of more than 255 hours up time. Though, the battery capacity is lower than the massive battery capacity of the high end Gionee M2017 of whooping 7000mAh. Gionne P7 has dual SIM slot support as well as 4G LTE. Camera wise, it sports 8 mega pixel rear camera with LED flash and 5 mega pixel front camera for selfies and video recording. Around Rs 9998 / 39-40000 Naira. 8 MP autofocus, LED flash, ace detection, panorama, HDR, Geo-tagging, touch focus. In some cases Battery Capacity may not be a problem, there are also other factors to consider. Whats important is the optimization of the various components that makes up the device. A phone with 1090mAh can last longer than another with 3090mAh, all sums up to its build up. Reminds me of Nokia phones.